Franck Bousquet is the World ‘s director of regional programmes, partnerships and integrated solutions in the Middle East and North Africa (MENA) region. He spoke to Cécile Barbière from EURACTIV France. What impact has the Syrian crisis had on neighbouring countries like Lebanon and Jordan? In two years, the effect on these two countries has been considerable. Today, Syrian refugees account for 30% of the Lebanese population and 20% of the population of Jordan. To give some perspective, that is the equivalent of the United States taking in the entire population of Mexico within two years. Lebanon is the country with the highest proportion of refugees per inhabitant in the world. And they are not the only ones to be affected, there is also Turkey. Of the four million displaced Syrians in these countries, two million are in Turkey, with the other two million spread across Lebanon and Jordan. These Syrian refugees are integrated into the urban fabric of Lebanon and Jordan. 80-90% live in cities and not in refugee camps. Naturally this puts an economic strain on these countries. We estimate that between 2012 and 2014 Lebanon’s GDP has fallen by 2.9% per year. How do these two countries organise their response to the refugee crisis? This refugee crisis is not only a humanitarian crisis, but also a development crisis. Refugees often spend ten to 15 years outside their country of origin. 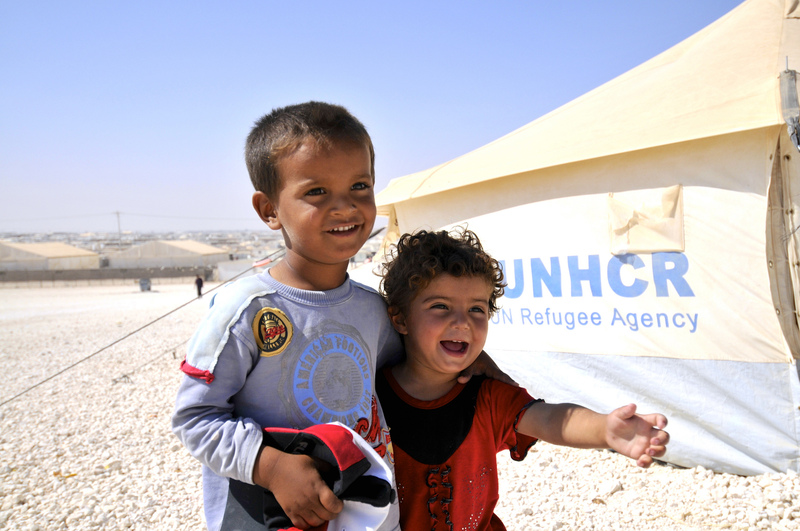 The cost of keeping Syrian refugees in Jordan is in the region of $2.5 billion per year. This is equal to 6% of gross national income, and most importantly, about one quarter of the country’s revenue. The cost of the Syrian crisis in Lebanon was estimated at around $5.6 billion in 2015. The costs are enormous. Not only do they represent a burden on taxes, but they can also cause social tensions. In order to respond to this crisis, these countries have got themselves into serious debt. Today, Lebanese debt stands at 140% of GDP. In Jordan it is 90%. [In 2010 it was 61% in Jordan and 119% in Lebanon, ed.]. How do we find extra finance to deal with this situation? We have a joint initiative with the World Bank and the United Nations to mobilise concessional finance – or extremely low-interest loans – to both Jordan and Lebanon. By opening their borders, these two countries are providing a global public good. It is vitally important that the international community provide finance through very low-interest loans. Eight countries, as well as the European Commission, have decided to support this financing initiative and a first donors’ conference was held in Washington in April. Donor countries will meet on 28 July to discuss the first projects that will benefit from this finance. The objective of this initiative is to raise $1 billion in donations over the next five years. This will allow us to provide around $3-4 billion of very low-interest loans. Debt has risen to alarming levels in these countries. Would it not be better to provide donations than loans which, even at low interest rates, will add to an unsustainable burden of debt? The main priority is still to mobilise donations. Unfortunately, we are only too aware that this is constrained by limits in donor countries. As middle income countries, Jordan and Lebanon generally do not have access to such low-interest finance [reserved for less advanced economies]. Today, these two countries can borrow at a rate of around 2-3%, which is rare. It is important to stress that this is not just a humanitarian crisis, but also a development crisis. Jordan and Lebanon know that by using this money to finance infrastructure projects, they are not only helping the refugees, but also securing their own development. What are the development priorities in these countries? The first priority is clearly education. 200,000 Syrian children in Lebanon today have no access to education. This really has to be the priority because it provides a lifeline to an otherwise lost generation. These children may be exiled for ten to 15 years. Second is employment, which is the best vehicle of social integration. In Lebanon, the unemployment rate is over 20%. It doubled between 2012 and 2014. Refugees need work permits, but the economy also needs to be revitalised with foreign investment. The private sector must be prepared to take part in the reconstruction of Syria, which could crate employment and construction opportunities. Unfortunately, no sector has been spared. We are seeing more and more examples of aid being conditional on recipient countries controlling migratory flows. The European Union’s deal with Turkey is a perfect example. Is this the case for Jordan and Lebanon? These countries did not wait for international finance before starting to take in refugees. It is very important to recognise the efforts that they have made in looking after refugees. The need for aid is great in all three countries. But it is clear when we look at the ratio of refugees per inhabitant that the figures are more important in Jordan and Lebanon. We are not going to pay for problems created by muslims. We are already paying a high prize in Europe thanks to the unimaginable derailed action by Merkel. Teach those muslim countries the scientific laws of Darwin. Let them fix their problems or extinguish!